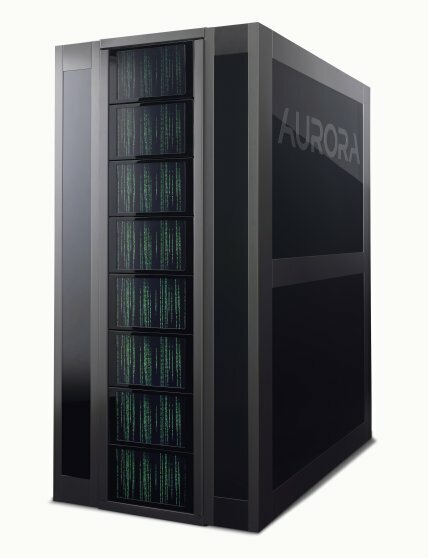 Eurotech has launched the Aurora HPC 10-10 supercomputer based on the Intel Sandy Bridge processing platform. Optimized for high-density, the HPC 10-10 can thermally manage the top-of-the-lineXeon E5 series processors (the E5-2687W at 3.1 Ghz) in a standard rack to deliver 100 Tflops of performance at 110 Kw of peak consumption. The HPC 10-10 inherits the efficient power conversion of the AU 5600 and allow data center PUEs as low as 1.05. This means great energy savings and together with a very respectable 900 Mflops/W this means also the Aurora high performance computer is one of most efficient and greenest systems in the market.